A link to the full article is on the Gallery&Press page. Happy new year, and thank you to everyone — press, cast, band, production, tech– who made 2013 the most remarkable year yet for The Ape Woman family. 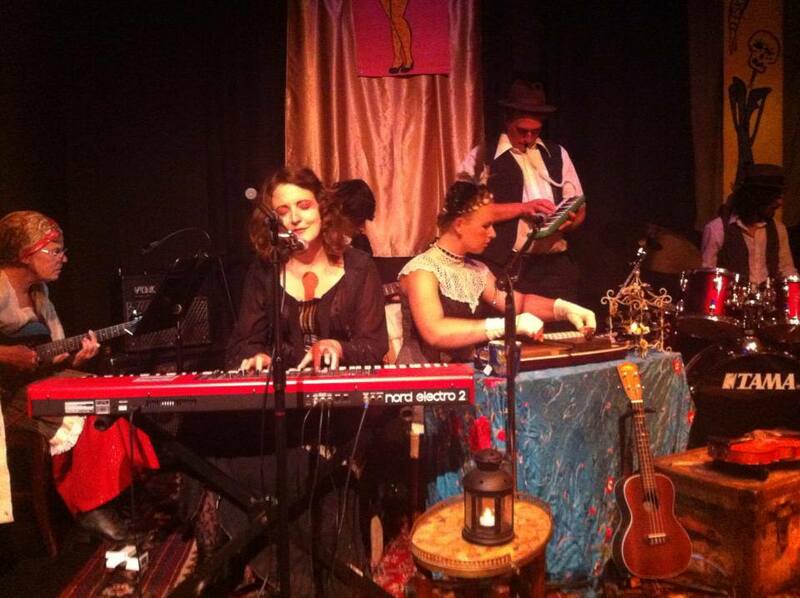 The long awaited LIVE ALBUM, recorded at The Berkshire Fringe! Listen to the show in its entirety, share it with your friends, corporeal and otherwise. Feliz Dia de los Muertos! 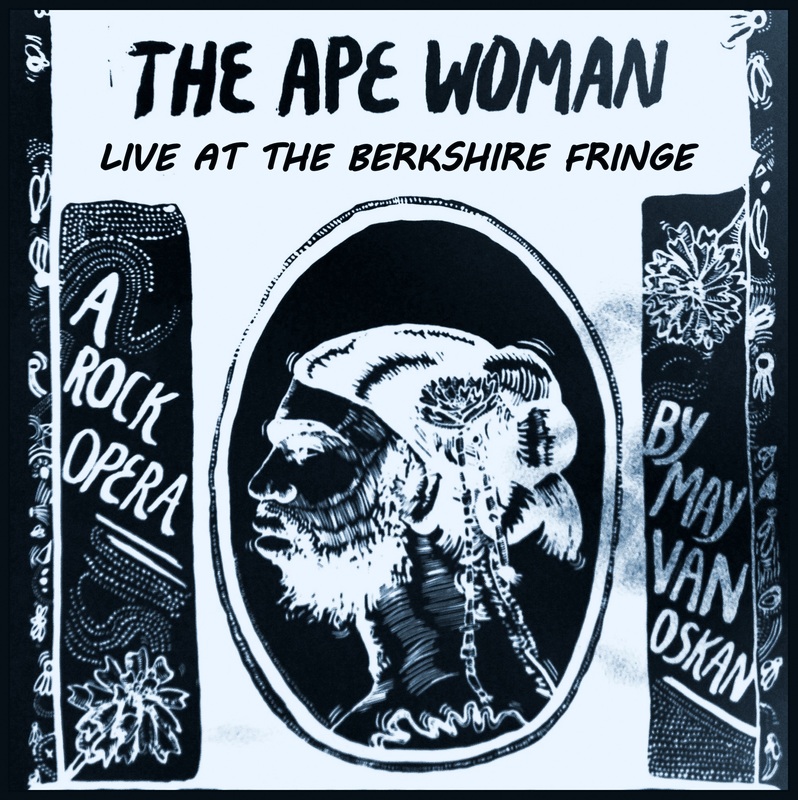 Just in time for Dia de los Muertos, The Ape Woman LIVE at The Berkshire Fringe is finally set to drop on November 2nd! This beautifully recorded album of the entire live show as it was performed in August will be available at mayvanoskan.bandcamp.com and while you’re there, you can check out some recent live solo recordings by May van Oskan. Thank you again to the folks at the Fringe, and especially to our amazing sound guy and recording engineer Dave Rice for making it happen. We did it! HUGE thank you to Sara Katzoff, Peter Wise, Ryan Olson, Tim Cryan, and all the outstanding interns at The Berkshire Fringe. They made it easy and delightful for us to bring a very tricky show to a whole new audience. Thanks also to Willy Mason for letting us borrow the coolest tour bus ever. I didn’t want to go home, and indeed that sentiment prevailed over many in our ensemble. So what’s next? Well we’ve got an amazing live recording by the immeasurable engineer Dave Rice (pictured far right, looking pensive and mysterious as ever) that will soon become our new live album! That’s what. I’m setting up a preorder, so watch this space! And if you’d like said album to arrive in your ears sooner, that donate button is still working. Oh, one more thing, for our fans on Martha’s Vineyard: some of the ensemble will be presenting a cabaret-style version of the show at the Oak Bluffs Arts District gallery walk on August 10th, please stop by for a song or stay for the whole shebang!